Logic Integration is a Colorado-based company that designs and installs A/V systems for commercial and residential applications locally and nationwide. From a one-man office in his garage to a full staff and audio visual showroom and offices where Logic Integration is headquartered today, Shawn has built his company into a nationally-recognized, multi-million dollar audio visual powerhouse with a stellar reputation. 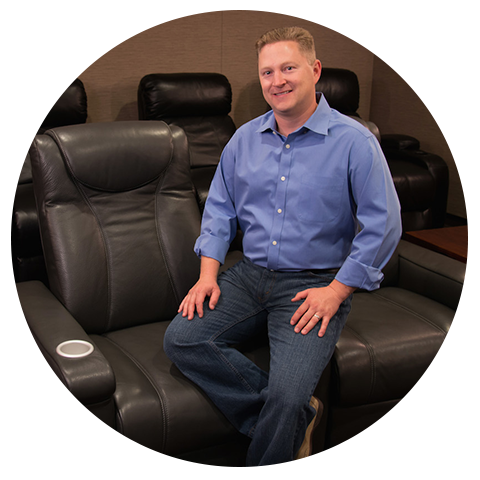 Shawn credits his accomplishments to a vision of providing well-engineered, impeccably-designed, easy-to-use and reliable audio video systems for homes and businesses, lessons he learned at other AV companies and his business philosophy that focuses on customers and customer service. Shawn has created a company culture that fosters staff loyalty and development as well as industry best practices.